A recently released research paper shows the age-old adage about saying something nice is true, even in the modern era, and especially with an unconventional president. University of Warwick researchers Karsten Müller and Carlo Schwarz found evidence that suggests Donald Trump’s tweets about Islam have led to an increase in anti-Muslim hate crimes over the past few years. Using the FBI’s hate crime database, the pair first took a wide view of any recorded hate crime between 1990 and 2016, before limiting the scope of the search to hate crimes against Muslims after Trump took office. The number of these crimes not only increased under Trump, it’s the highest number in recorded history, including the months following 9/11 under the Bush administration. 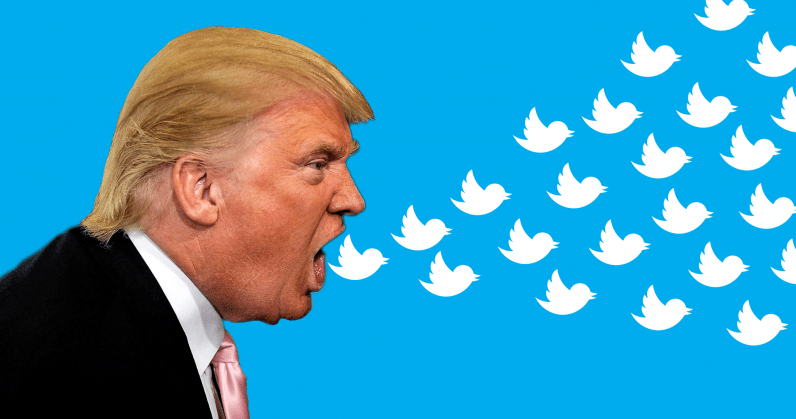 The data also showed a strong statistical correlation between the number of Trump’s tweets about Islam, and an uptick in crimes in the days and weeks that followed. To attempt to make sense of the findings, the researchers then looked for patterns by location. Twitter usage, the study contends, varies wildly by location, even county-by-county or city-by-city. When analyzing geographic patterns, Müller and Schwarz found the increase in hate crimes mostly occurred in counties with higher Twitter usage, and only after Trump took office. Simply put, this isn’t a general increase in crime, a lack of political or ethnic diversity, or anti-Muslim sentiment in an area. In fact the areas with the heaviest Twitter use tend to skew liberal and be more ethnically diverse than counties with lower usage. Interestingly, there was no comparable increase in counties with low Twitter usage. The findings, however, aren’t without limitations. It faces the same shortcomings as any study that proves correlation, but falls short of causal proof. Simply put, it’s worth taking the findings with a grain of salt, a sentiment echoed by the researchers. Müller and Schwarz note that their findings are only consistent with the idea that Trump’s presidency has made it more socially acceptable to express prejudicial or hateful views, not that it’s creating new racists capable of carrying out hate crimes. And these views, according to the research team, were held long before the 2016 election.